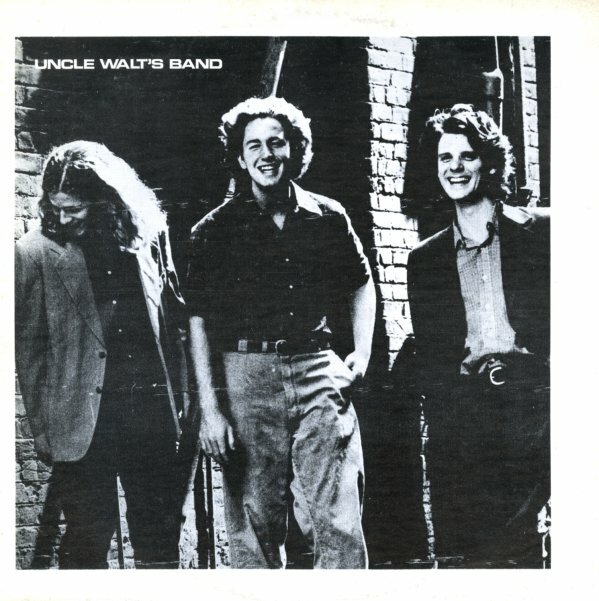 The beautiful debut of Uncle Walt's Band – a 70s group who never moved past underground status, but who had an undeniable impact at the time – so much so that this self-produced record was issued in a number of different formats over the years! The group's maybe best known for their ties to the Austin 70s scene, but this set's recorded back home in North Carolina – and has a sound that's really unique, and really out of time – not country, not folk, and not really even singer/songwriter material – despite the fact that the trio brings some great songs of their own to the mix. Instrumentation is a spare mix of guitar, fiddle, bass, and mandolin – often with vocals harmonized in ways that lie between early country and later jazz phrasing – the latter of which is underscored by the guitar work, which often has a touch of gypsy swing. The closest we can compare these guys might be to Dan Hicks on his first few records – but the sound is more stripped down, personal, and meaningful overall. Titles include "Four Til Late", "Little Sadie", "Ruby", "Dish Wiped Clean", "Seat Of Logic", "In The Night", and "Don't You Think I Feel It Too". © 1996-2019, Dusty Groove, Inc.